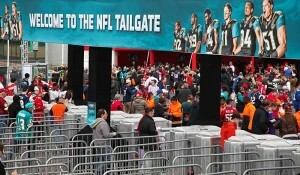 Crowd control and stage barrier specialist Mojo Barriers has announced a strategic partnership with contactless payment and access provider Intelligent Venue Solutions (IVS), as of December 10, 2013. The UK partnership follows the launch of Mojo Barriers’ Gatekeeper 2.0 intelligent turnstile; a temporary turnstile system which links directly to a central computer giving real time capacity data. It incorporates full scanning capabilities and is compatible with any scanning methods. IVS provides integrated contactless payment and access solutions to the live event sector, providing its services to the Isle of Wight festival, T in the Park, Barclaycard British Summer Time and Cornbury festival to name just a few. 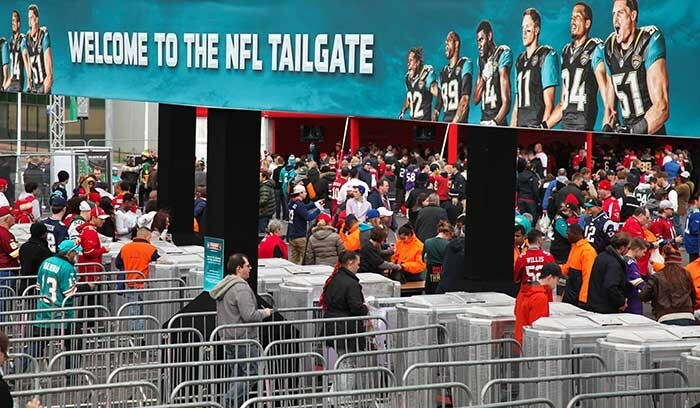 "The Gatekeeper can be used for counting only – as we did at Wembley for the Tailgate Party – or combined with scanning," explains Mojo Barriers’ UK general manager Kevin Thorborn. "We can adapt the system to integrate with any scanning technology from barcode to RFID and QR codes, and we work with scanning companies across Europe who use the system at their events. "The partnership with IVS will give UK festival and event organisers access to the hardware (the Gatekeeper) and an already-compatible scanning partner, meaning lower set up fees and a quicker turnaround. The partnership is ideal for clients who don’t already have a scanning provider, and we are extremely excited to work with IVS who is one of the leaders in their field." The Gatekeeper will form part of IVS’ stock portfolio, giving both company’s clients access to a complete, one-stop access solution combining IVS’ RFID or NFC technology, and a secure entranceway suitable for main site access, camping, VIP enclosures or backstage areas. It can also be used at corporate events and exhibitions. Paul Pike, IVS director, comments: "The Gatekeeper is very complementary to our offering, meaning our scanners can be hosted on a secure turnstile where fixed readers are required. We’re always looking at ways to improve our offering and this partnership will be beneficial for both parties and ultimately our clients who are quickly embracing RFID and similar technology at their events."